Colloqate implements the Design as Protest platform through youth workshops. We have worked with NOMA Louisiana to implement Project Pipeline, a mentorship program designed to encourage students to explore the city and different ways that it can be designed. Project Pipeline takes place as a three-day summer camp and as a series of workshops at school throughout the year. 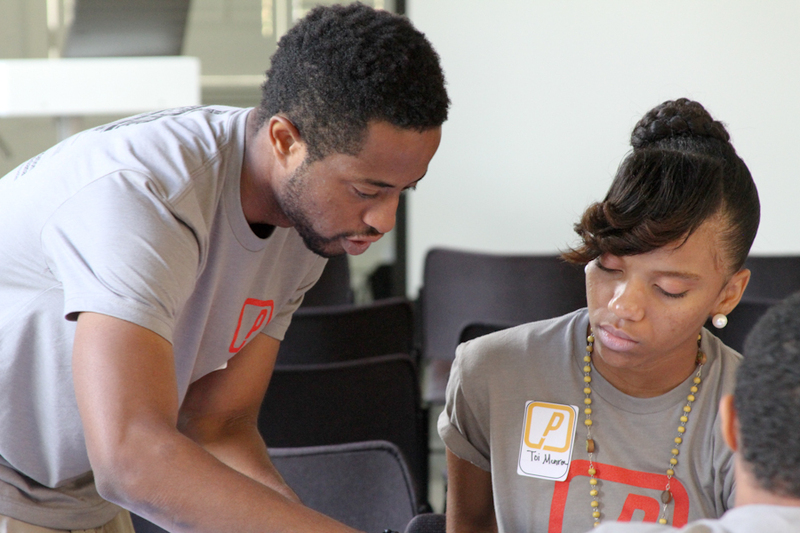 Project Pipeline is a mentorship program established by the National Organization of Minority Architects in 2009 designed to encourage equality within the profession and provide an introduction to young students interested in the world of Architecture and Design. The program consists of a summer camp, yearlong workshop series and year-end competition, all within the framework of sustained mentorship program. Colloqate worked with NOMA over recent years to develop lesson plans and run the camp at Tulane University. The summer camp is a three-day Social Justice architecture and design camp for rising 8th graders through 12th graders. Camp participants work with architects to explore our city and design a building for the community. Students sharpen their thinking, stimulate their creativity, and deepen their understanding of the design field. The Camp concludes with a final presentation of student work on the final day open to friends, family, and educators.